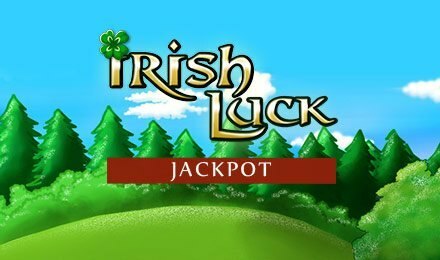 Find your jackpot fortunes with Irish Luck Jackpot Slots! Spin through 5 lucky reels of Wild Leaf Clovers, Fairy and Leprechaun Scatters, Match and Win and Pick Me bonuses to multiplied prizes and jackpot riches! Lady luck’s on your side when you play Irish Luck Jackpot Slots at Vegas Spins. So follow the Lucky Leprechaun through 5 reels and 25 paylines of enchanting Irish themed slot magic to uncover your pot of jackpot fortunes! The lucky reels are overflowing with Four Leaf Clover Wilds, which can substitute for other symbols, chances to grab FREE spins and Fairy and Leprechaun Scatters. If 3 or more Fairies grace the reels, this triggers the Match and Win Bonus and 3 or more Leprechauns can spark the Pick Me bonus. Luckily for you, you can also multiply your wins by 100, and spin your way to progressive jackpot Irish treasures, so you better get spinning!